1905 Rev. Jim Sharp organized Morning Glory Baptist Church. The name was later changed to Saint John Baptist Church. 1923 – 1953 Rev. W. T. Talley, of Mineral Wells, TX was called to serve as pastor. Under his tenure the church membership grew from 14 to 1000, and the name of the church was changed to GREATER Saint John Church. 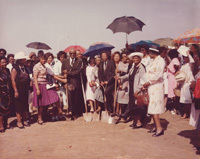 In 1946 ground was broken for a new church. 1954 – 1959 Rev. L. C. Henegan was given the charge to complete the new church project. At a cost of $95,000.00 the Lord’s house was completed and the congregation entered two months later. During his brief tenure the church split into two separate congregations. 1959 The remaining members from the split reorganized and re-entered the 19th St. location. 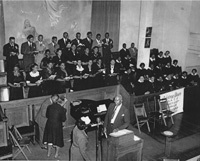 The church was re-named First Saint John Missionary Baptist Church. 1960 Rev. L. B. Moss was called to serve as pastor. Under his leadership the course of the church was re-chartered and the church continued to grow. During his tenure a church parsonage and the land adjacent to the church were purchased, central heat and air was installed in the sanctuary and an education wing was added. 1980 The City of Fort Worth began an expansion of highway interstate 30. This expansion would mean that the church would have to relocate. Property at 2401 East Berry was deemed to be an ideal location for the new church. 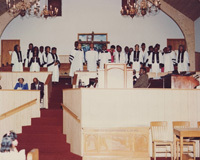 On November 7, 1982 the congregation entered the new location. 1994 Due to the illness of Pastor Moss, the pulpit was declared vacant and a search for a new pastor commenced. 1995 Rev. 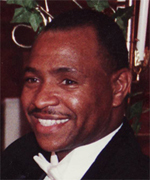 Kenneth Bernard Spears began serving as Pastor. Under his leadership with the guidance of the Holy Spirit, membership grew, the debt of the church was retired, and classroom buildings were purchased as well as church transportation. The sanctuary and church grounds were renovated, a full-time staff was hired, and a church savings and investment program was established. 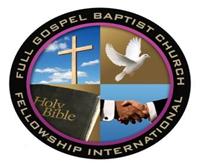 2000 First Saint John Missionary Baptist Church becomes part of the Full Gospel Baptist Church Fellowship. 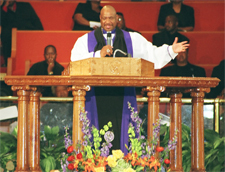 2005 Pastor Spears was consecrated a Bishop on July 12 in New Orleans, Louisiana. 2008 After 3 years of perseverance and makeshift services, First Saint John North had its very first service at its new permanent location on December 15. 2012 First Saint John Church is redesignated First Saint John Cathedral and a new crest is unveiled. The names of the locations were changed as well, FSJ South became known as FSJ Berry and FSJ North became known as FSJ Watauga.